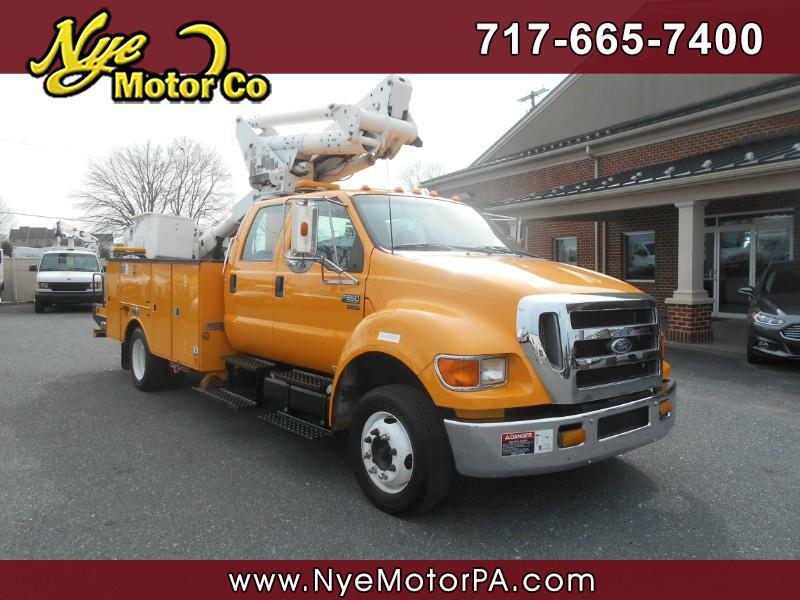 Used 2005 Ford F-650 SD XL for Sale in Manheim PA 17545 Nye Motor Co.
****1-OWNER****CLEAN VEHICLE HISTORY REPORT****HARD TO FIND 4-DOOR F-650 BUCKET TRUCK****MUST SEE**** Get to work today in this 2005 Ford F-650 XL Proloader Bucket Truck with only 122K miles! Outfitted nicely with an Altec Boom/Bucket Model Number TA37M with a 37' 3" Platform Height, Altec Industries Utility Box, 400 Pound Bucket Capacity, 800 Pound Lifting Eye Capacity, Outriggers, Tow Pack, Brake Controller, Am/Fm, 12V Port, Strobe Lights, and More! Call today to schedule your test drive. Message: Thought you might be interested in this 2005 Ford F-650 SD.